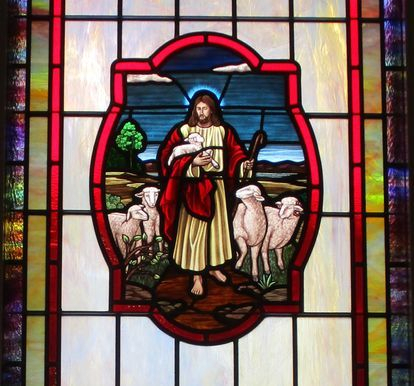 In 2017, Laws Stained Glass Studios provided (19) opalescent glass windows for Second Baptist Church in Cherryville, NC. 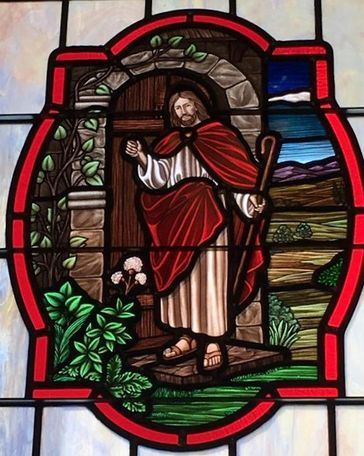 The ten sanctuary windows (size 36" wide x 114" high) contained an 18" x 26" hand-stained glass medallion from the life of Christ. The four windows (36" wide x 57" high) in the balcony area and above the doors each contained a 12" x 16" medallion. 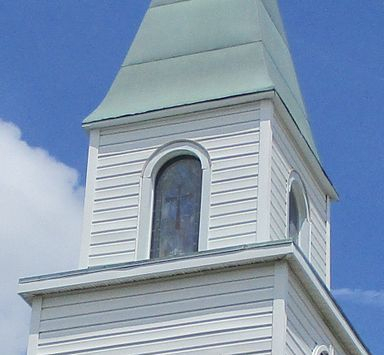 One large window (72" wide x 89" high) above the front doors have the three crosses on Calvary. 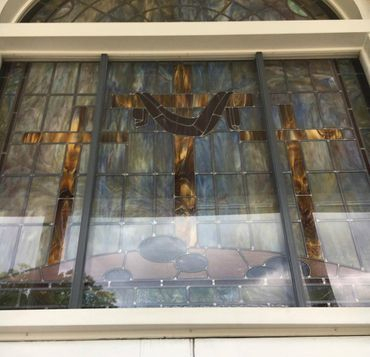 The four tower windows (size 22" wide x 50" high) each had a cross in them. 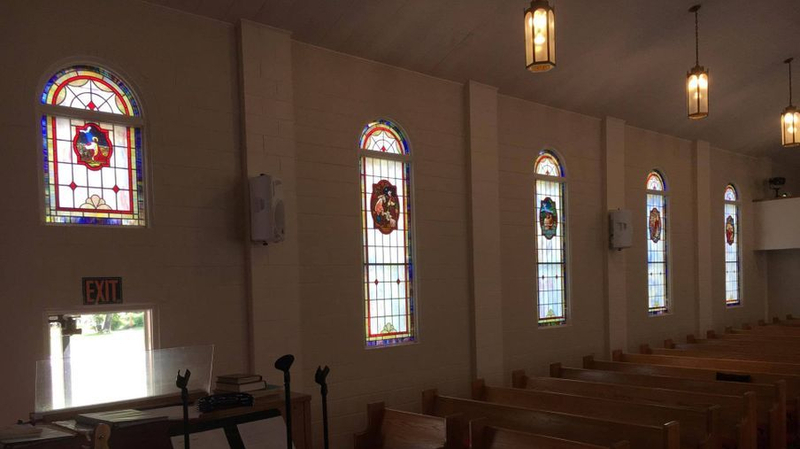 Laws Stained Glass removed the existing sashes and installed the new windows in the existing wood frame. On the outside, the exposed wood was flashed with white aluminum. On the exterior, 1/4" Lucite acrylic was installed as the protective covering and (2) rows of 1/2" x 1/2" white aluminum stop was used to float it in place. 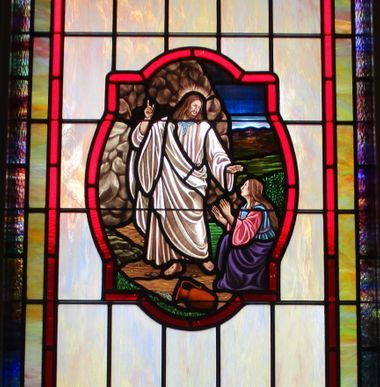 Opalescent glass window with a 18" x 26" medallion of "Blessing the Children"
Opalescent glass window with a 18" x 26" medallion of "The Baptism"
Opalescent glass window with a 18" x 26" medallion of "The Resurrection"
Close-up of "The Good Shepherd"